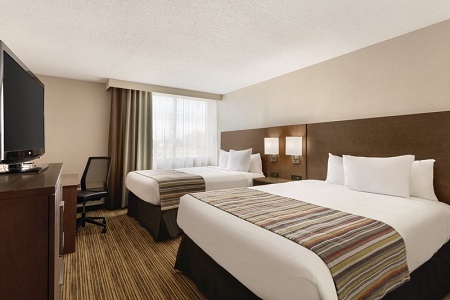 Pull off of I-94 and rest easy in your spacious room or suite at the Country Inn & Suites® by Radisson, Fergus Falls, MN. 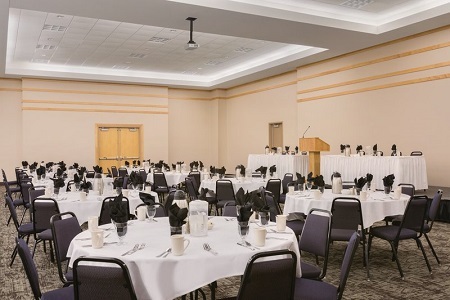 Whether you are in town for a conference or a wedding, take advantage of our convenient location next door to the Bigwood Event Center to stay close to the festivities. Fergus Falls, considered a gateway to numerous nearby lakes, offers hiking, biking and other outdoor recreation. 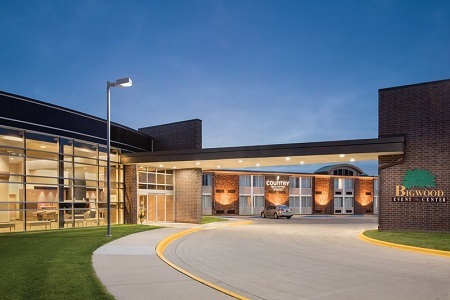 Our hotel in Fergus Falls, MN also gives you easy access to top area attractions like the Central Lakes Trail, the Prairie Wetlands Learning Center and Red Horse Ranch Arena. Start off your morning in Fergus Falls with our free, hot breakfast. Savor bacon and fluffy homemade waffles, or grab a yogurt and a piece of fresh fruit to go. When you're hungry for lunch and dinner, check out the Z103 Bar & Grill, our on-site, full-service restaurant. Indulge in American cuisine including sandwiches, salads, steaks and more. Other nearby restaurants like Union Pizza & Brewing Co. offer delicious options such as specialty pies and craft beers. A Center for the Arts – Visit A Center for the Arts for a theatrical performance the whole family will enjoy. The center features year-round programming by local and touring artists and is conveniently located less than three miles away. Prairie Wetlands Learning Center – Learn about the area’s wetlands when you visit this center, situated just four miles from the hotel. Home to a variety of local wildlife, the center presents environmental programs and interpretative exhibits that celebrate the cultural and natural history of the wetlands. Central Lakes Trail – Travel six miles from the hotel to access the Central Lakes Trail, which spans 55 miles from Osakis to Fergus Falls. Tote your camera to take stunning photos of the rivers, lakes, flowers and more, and be sure to make stops at various points along the way to dine or shop. 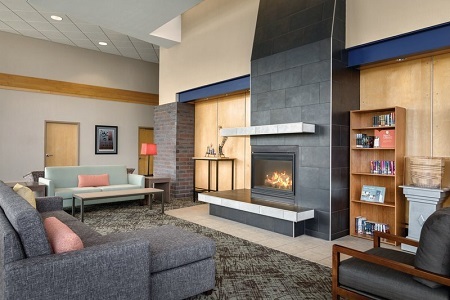 Read more about our hotel's Fergus Falls, MN location. 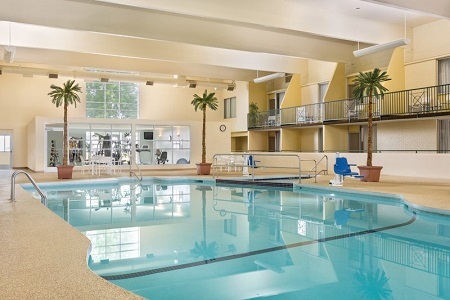 Let us be your home away from home while you attend or host a conference, wedding or trade show at the Bigwood Event Center, connected to the hotel. Guests hosting an event can choose from eight meeting rooms, each equipped with convenient services like free high-speed Internet access, on-site catering and planning assistance from our knowledgeable staff.